The Miro Elliptical console is derived from a simple element in the Miro Lamp. 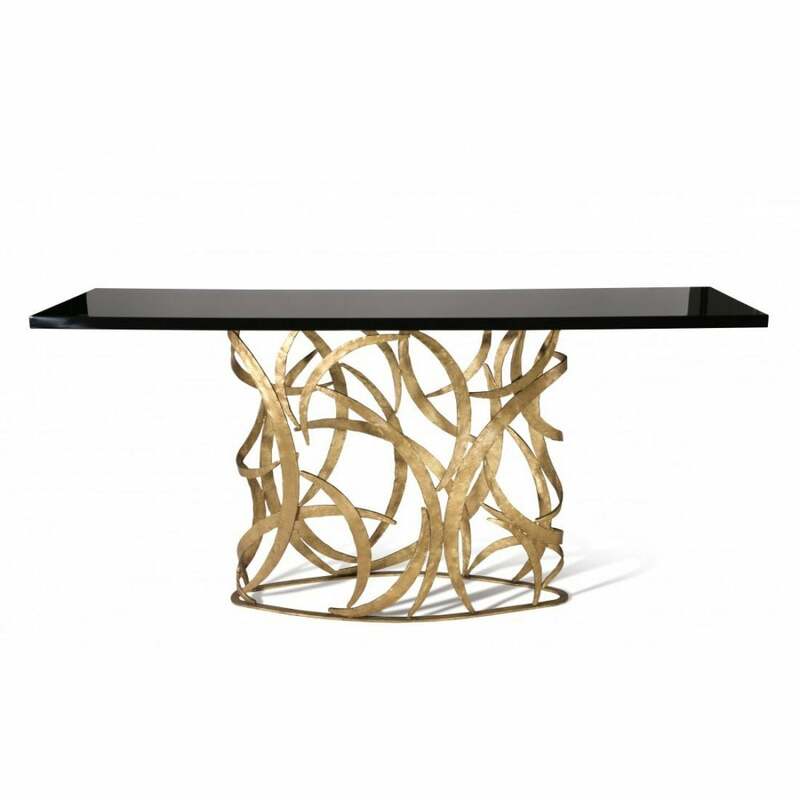 This tour de force from a skilled metalworker is both elegant and incredibly complex. The long floating top is perfectly proportioned to the base and creates an interesting tension with the supporting metalwork.